Summer has started and everyone would be heading to the farms for picking fresh organic fruits, veggies and greens. Everyone tend to pick up more by seeing fresh veggies, fruits and end up struggling ways to finish all of them before seeing them getting rotten. 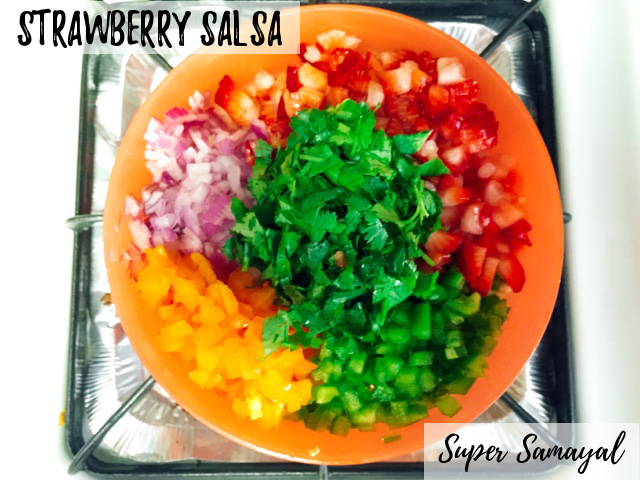 Here is a simple tangy Strawberry Salsa recipe where your fruits like peach, mango, pineapple, strawberries could be used to prepare an at-home fresh salsa instead of the ones sold in stores. This will not take much time and no cooking or baking is required. In a mixing bowl toss all the ingredients together until combined. Enjoy this freshly homemade salsa with any kind Tostitos®, tortilla chips and masala pappad on top. You could even eat it as salad also. Lime juice could be added more or less depending upon the sourness required. 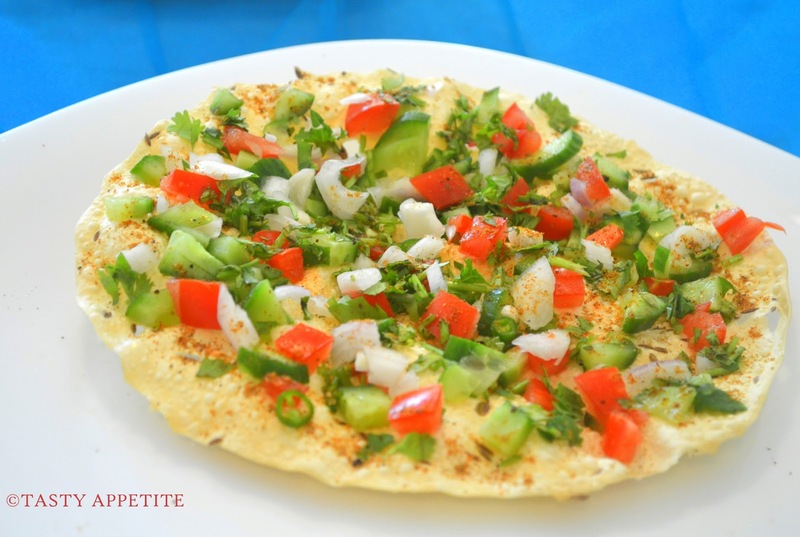 Try this salsa with any other fruits of your choice.